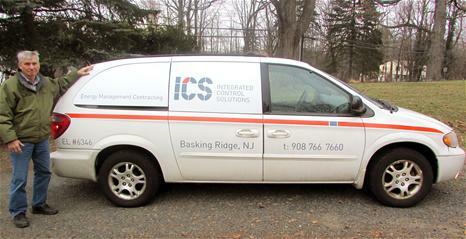 ICS is a new Jersey company established in 2003. Our purpose is to conduct business as a controls contractor, to offer quality components and to efficiently operate complex systems. From simple heating and cooling plants to complicated building automation systems, ICS is qualified to meet your needs with design, engineering and installation based on years of experience. We take pride in developing lasting partnerships with facility managers and mechanical contractors. We have fine tuned and tested control strategies for all types of HVAC applications. We do turn-key installations, so we make it work right the first time. We are bonded and financially sound. The founder, Tom Marquet is a graduate of the Univesity of Cincinnati College of Applied Science. He was an established electrical contractor in 1979 when the oil embargo gave birth to the energy management business. He refocused his training and concentrated on energy management controls. Soon after, the company was purcahsed by the controls division of the North Jersey Trane office. Mr Marquet spent 18 years with that company (Engineered Energy Systems) before breaking off and starting Integrated Control Solutions, LLC. His other staff include qualified electricians and licensed engineers.